I recently made reference to the fact that I spent a weekend working at a friend’s house in early October. 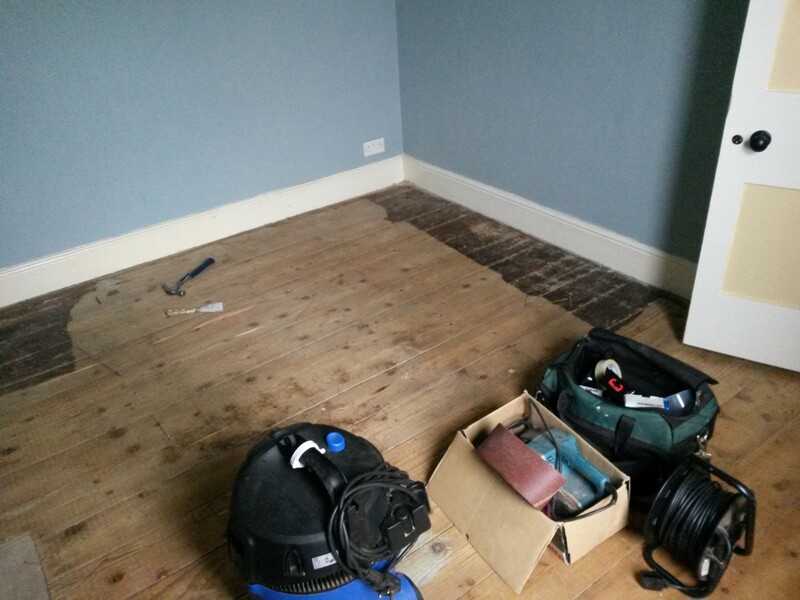 This largely involved sanding the wooden floors in two rooms and attending to the near-disastrous state of alcove shelving in the living room (some people should be banned from owning hand saws). Let’s start by looking at the big job: sanding. Lots of sanding. Then again, downstairs. I have a lot more to share with you from my weekend in Exmoor but for the next couple of days, I’d like to steer away from that to catch up with a few other goings-on in my home. 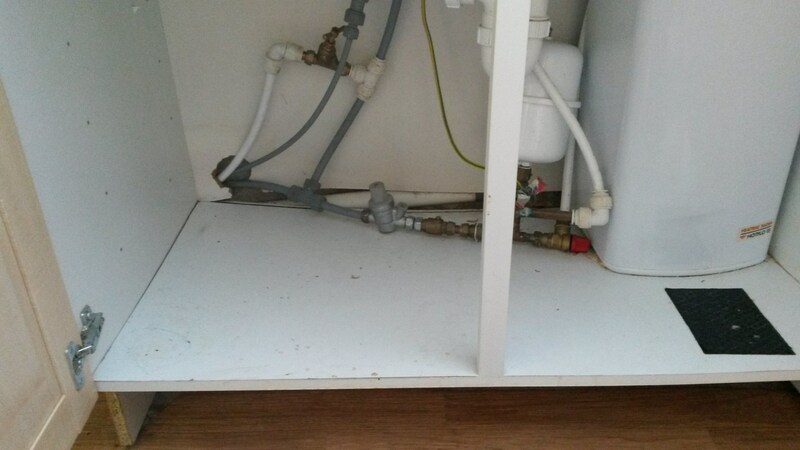 Quite recently, I spent a few hours one afternoon attempting to repair the base cabinet in my kitchen, which was sagging by the best part of an inch! You can see, at the back of this photo, where the base has dropped away from the thin back panel.